As web apps get more powerful, internet access gets more ubiquitous, and hardware prices come down, Chromebooks are becoming more and more popular as laptops - even if they rely heavily on online access and can't run conventional desktop programs. An offline Chromebook is not quite the brick you might assume it is: many online apps now have some kind of offline functionality built into them (particularly the Google ones). Here's how to make sure you're ready for a connection blackout before you leave home. You obviously can't install a web app to your Chromebook without an internet connection, so you need to scout out and set up the core components of the offline apps you'll need in advance. Google Drive has offline capabilities, and there's an offline version of Gmail. Plenty of other apps work offline too, although they're not always easy to hunt down. We've mentioned most of the main ones below, but they're growing in number all the time: if you head to the Chrome Web Store, open up the Apps section, and then tick the box marked Runs Offline, you can see what's currently available - you can play games, open documents, edit photos, write a journal, keep up with your to dos and much more. Some offline apps will run straight off the bat with no internet connectivity (usually those that can store all the data they need locally, like games), but others need to run through a few setup tasks and sync files while you're on Wi-Fi, so check what's what before you head out. There might be a particular 'offline mode' you need to activate ahead of time. You would expect Google to be working hard to make Chrome OS as offline-capable as possible, and Google Drive certainly helps - if you go to the Drive settings panel and tick the offline option, the app downloads all recent documents stored in the native Drive formats for offline access (you won't be able to get at your images and video though). It's possible to create new files in Google Drive while offline too. Gmail Offline works in a similar way - get it up and running while you still have access to the web and then you can choose how much mail is cached locally (a week's, a fortnight's, or a month's). New emails can be stored temporarily and then sent as soon as your internet connection is restored. Other offline-ready productivity tools you might want to take a look at that aren't made by Google include Writer for lightweight document editing and Sunrise for calendar management (both Google and iCloud calendars are supported). Look in the Productivity and Business Tools categories on the Chrome Web Store to find even more software. 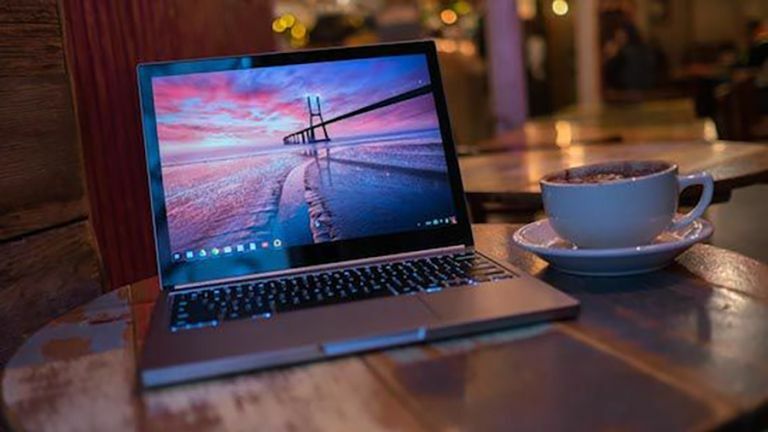 There are a whole host of graphics and image editing tools out there that will run on your Chromebook while it's offline - though without a web connection they can only open pictures stored locally on the device's flash storage, obviously. If there are images you know you're going to need, save them on your Chromebook or put them on a USB stick. We've already linked to the impressive Polarr Photo Editor application further up this page but you also have the option of Sketchpad for your more natural-looking digital art masterpieces, and Pixlr Touch Up, which has an impressive array of quality features but runs right in your browser. Piconion Photo Editor is another option worth considering. As far as games go, we've pointed you to Funky Karts already, but there are a ton of others to entertain you as well: try the old favourite Offline Solitaire, Swoop, Flappy Bird Multiplayer, Tetris 9 Cells or Minesweeper Classic for example. The mobile hit Cut The Rope is one of the most instantly recognisable Chrome OS games that also works offline. Chromebooks can actually play a lot of common media file types right out of the box: if you've got videos, music or photos stored on the local flash drive (or on a connected hard drive) then you can just launch this in Chrome OS' native player, no extra apps needed. There isn't much in the way of extra features, but the functionality is there if you need it. Unfortunately Spotify's web music player doesn't work offline, and nor (surprisingly enough) does Google Play Music, but Songist is a Chrome app that will run in your browser and churn out your tunes without an internet connection - those tracks have to be stored locally, though, so it's only a slight step up from using the native player in Chrome OS. The picture's pretty bleak for movies and television shows too - obvious caching these files takes a lot of storage space, which is kind of a problem on a Chromebook (16GB of local room is typically the norm). Google Play Movies & TV does let you download videos for offline viewing, but otherwise you're best off bringing an external hard drive along.